On May 7, 2013, join Mettawas Station for “Grown Right Here” as our wine and tapas style dinner series continues featuring the flavours of Essex County. Reservations required. 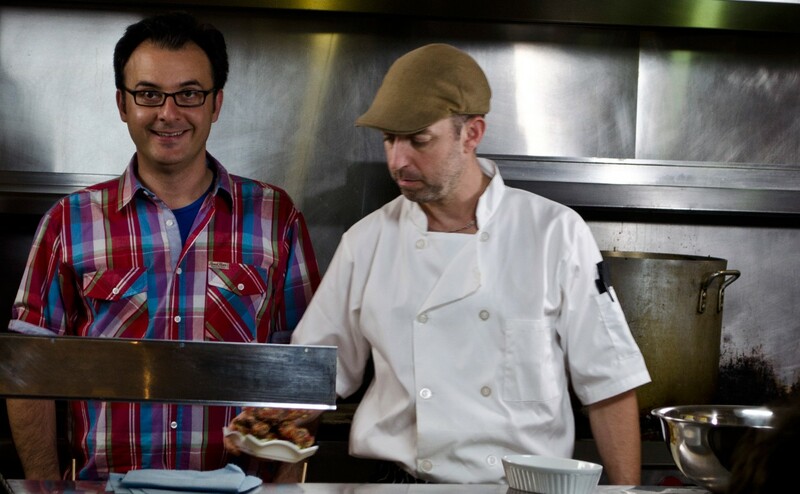 The Motor Burger episode will air Friday, May 10, 2013 at 6:00pm. Smoke & Spice was featured on the program last month. On Friday, May 10, stretch your mind and your body while indulging your senses at Sprucewood Shores Estate Winery. Registration begins at 6pm and is followed by a Dharma chat and yoga from 630 to 745. Then enjoy a 15 minute sunset meditation followed by a wine tasting and vegan dinner. Tickets are $65 in advance and $75 at the door. Quickly becoming a patron favourite, the Drinks of Walkerville tour would definitely be one of Don Draper’s favourites as we start off at the Canadian Club Brand Centre as we take in the history of the building and brand before sampling the Mad Men character’s drink of choice, Canadian Club Whisky. After learning all the about history full of famous (and infamous) characters that were big fans of the Canadian Club brand, we take a stroll through Olde Walkerville discovering it’s architecture as well as some well known and not so well known tales associated with the area. We then will visit Walkerville Brewery and sample their beers while being walked through the facility and learning about the brewing process. 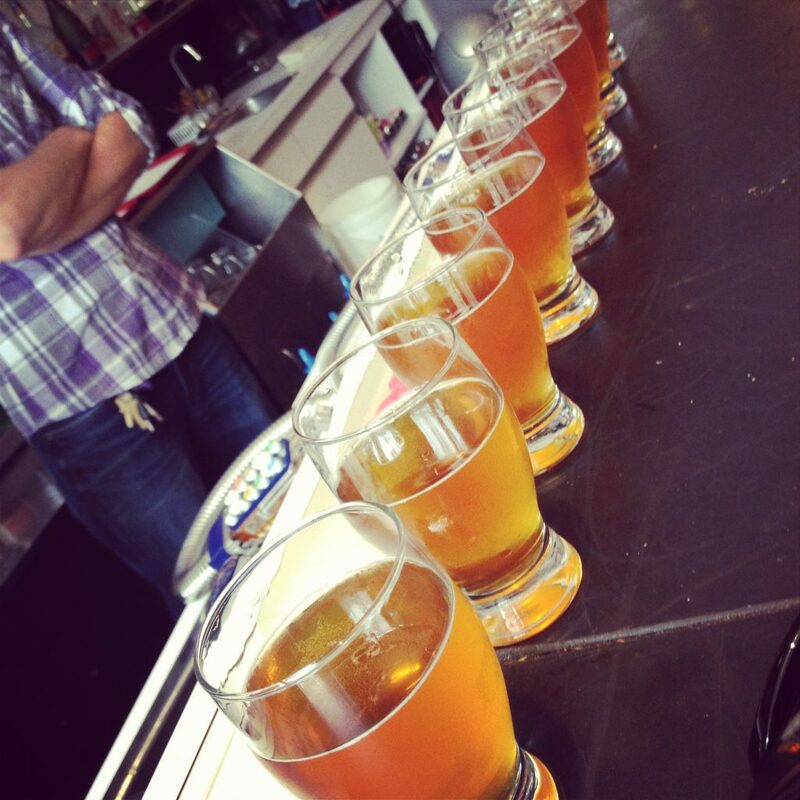 From the brewery we head to The Willistead where we’ll be treated to some more beverages. Tequila? Scotch perhaps? Bourbon? Much like the ever changing menu at the popular restaurant, it’ll be a surprise! The next tour takes place on Saturday, May 11, 2013. Tickets are $45 per person and can be purchased here. 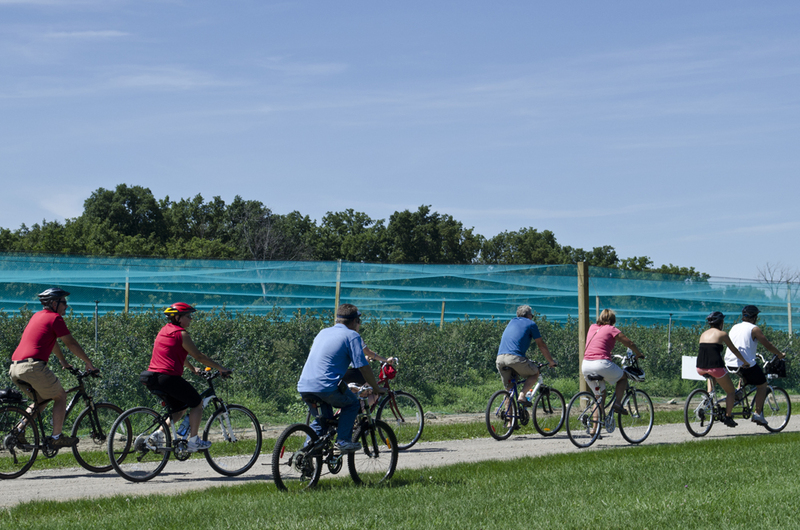 Come enjoy a scenic ride on your bike to Essex Pelee Island Coast wineries for tastings and enjoy a meal at the final stop on the first Wine Trail Ride of the season. Black Bear Farms & Estate Winery. Each Wine Trail Ride includes tastings at each winery, tours and a really great meal. A support vehicle will also be on hand and will be able to bring back the wine purchased from the wineries back to our starting point. Tickets are limited and sell quickly. We’re the regions only award winning cycling tour having been named the Best Culinary Tourism Experience in Ontario as well as Innovator of the Year for the entire Canadian tourism industry. Tickets include tastings, tours, cycling guide, a support vehicle and a long table dinner made from locally grown products. Tickets can be purchased here. This event offers an opportunity for guests to schmooze with some of Windsor’s finest food and beverage establishments, while enjoying creative cuisine, drinks, networking, and celebrating what we think is a pretty terrific community organization. This year’s event will be held at St. Clair College Centre for the Arts on May 23, 2013. The event will host food stations, and winery and brewery displays for our guests to taste and visit as they meet and mingle around the room. The Battle has been taking place for 27 years and features 15 of Windsor’s finest food & beverage establishments all under one roof! Local restaurants put out their best and participants vote and choose their favourites. We’re big fans of the event and have been fortunate to serve as a guest judge for many years and this year is no different. Pina will be on hand to sample and judge entries from some of the area’s best restaurants including WindsorEats members Bull and Barrel, The Ryegate Steakhouse and Lounge, The City Grill, Grill 55 and Thyme To-Go. It’s time to dust off your bike! Join WindsorEats Saturday, May 25, 2013 and support a great cause while enjoying a scenic ride through Windsor, sampling Ontario beers and nibbling on eats from local restaurants. It’s the Bikes & Beers Cycling Tour in support of Returns for Leukemia! Proceeds from the tour benefit Returns for Leukemia, a fundraiser held each May by the United Food & Commercial Workers (UFCW) Local 12R24 in partnership with The Beer Store to raise funds for The Leukemia & Lymphoma Society of Canada (LLSC). 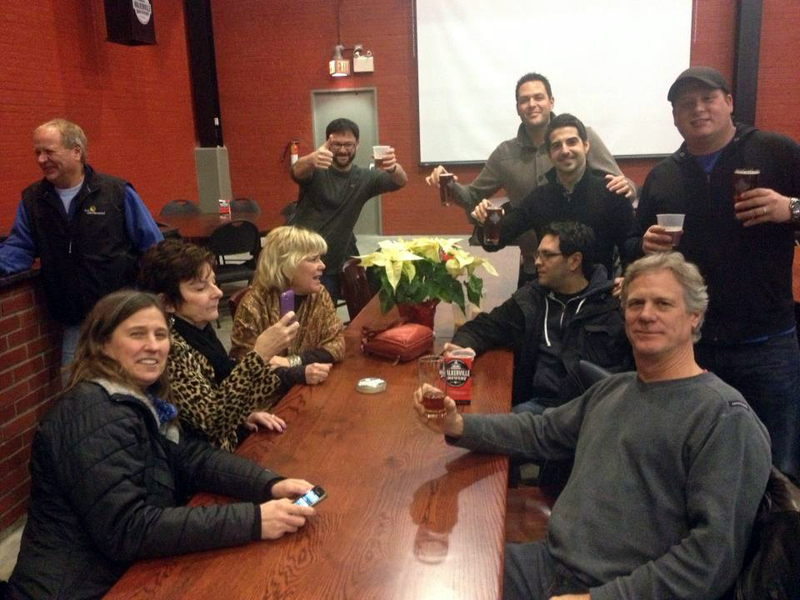 The Bikes & Beers Cycling Tour includes a support guide, beer tastings, appetizers at restaurants and tours through some of the city’s historic neighbourhoods and landmarks. Tickets are $45 each with proceeds going to Returns for Leukemia. Please note, tickets sales end two days prior to the event day, are limited and sell quickly. May 25 & 26 2013, customers at The Beer Store are invited to donate all or a portion of their empty bottles (or cash), with 100% of the proceeds going directly to The Leukemia & Lymphoma Society of Canada. So, on the way to the Bikes & Beers, bring all your empties to donate as well. A sure sign that the great weather has arrived is the revival of Sips, Sounds & Bites at Sprucewood Shores Estate Winery. Visit Sprucewood Shores EVERY Sunday to enjoy live entertainment on the patio overlooking beautiful Lake Erie or nestled in the vineyard. Enjoy tapas (hor d’oeuvres) prepared by a different chef every week from 1pm-4pm (various $). Sip on a glass of wine or our signature sangrias with our delicious picnic basket, and soak in the music and view. Sips, Sounds & Bites runs every Sunday from 1:00pm to 4:00pm, May 26, 2013 through to September 1, 2013. Jack’s Gastropub started a “Private Beer Club” in February 2011, and since then, this has been the hottest ticket in town with Beer Club events selling out almost instantly. How can you resists awesome beers and equally awesome food? Various beers are sampled and paired with tastings while Jack’s resident ‘Beer Guru’ Derek guides us through the tasting and adds a wealth of knowledge to the beers, brewing techniques and breweries being explored. The next Beer Club takes place on Monday, May 27, 2013. Book your spot in advance by contacting Jack’s Gastropub.